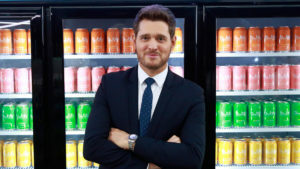 bubly, PepsiCo’s sparkling water brand that is full of flavour and personalité, unveiled its first-ever :30 in-game Super Bowl advertisement titled “Can I have a bublé?,” featuring four-time Grammy award-winning singer Michael Bublé. Four new flavours blackberrybubly, cranberrybubly, raspberrybubly and peachbubly, are featured in the ad and join the brand’s current portfolio of eight flavours – all with no artificial flavours, sweeteners or calories. The new bubly flavours are now available in retailers US-wide and on eCommerce. 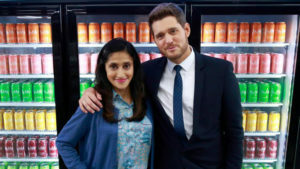 If you’re wondering why the talented Canadian born singer is starring in his first-ever American football ad, it’s because of his absolute conviction that bubly is in fact, bublé – specifically named after him. In the spot, Bublé thinks it’s a bublé world and we’re all just living in it. 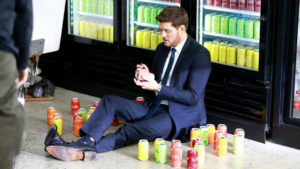 Just a year after the brand’s successful 2018 launch, on track to exceed $100 million in retail sales in its first year, the bubly Super Bowl ad by Goodby Silverstein & Partners, showcases its upbeat and playful persona. With a growing flavour lineup, and the coveted Super Bowl spot, PepsiCo continues to demonstrate its commitment to its water portfolio.